Dive the Pristine Waters of Komodo National Park with Us! experience of a life time for all diver levels with opportunities to see an abundance of life under the ocean’s surface. Also, it is our responsibility to ensure that all dives are safe and enjoyable for you. Therefore, there are certain guidelines that are binding for all of our guests and must be followed during each dive. The following NEREN Divers Code of Conduct for diving in the Komodo National Park outlines these guidelines. Please read the following carefully. Not adhering to, negligently ignoring or purposely breaking these guidelines and the instructions given by your guide may result in diving bans depending on severity. Do not touch, move around, chase, hug or harass the marine life. While diving we only passively interact with the creatures we encounter. This rule applies particularly to underwater photographers. Do not take anything from the ocean (e.g. seashells, rocks, dead coral, sand). Everything must be left in its natural environment. However, if you find plastic/waste in the ocean, we encourage you to pick it up and dispose of it on the boat. 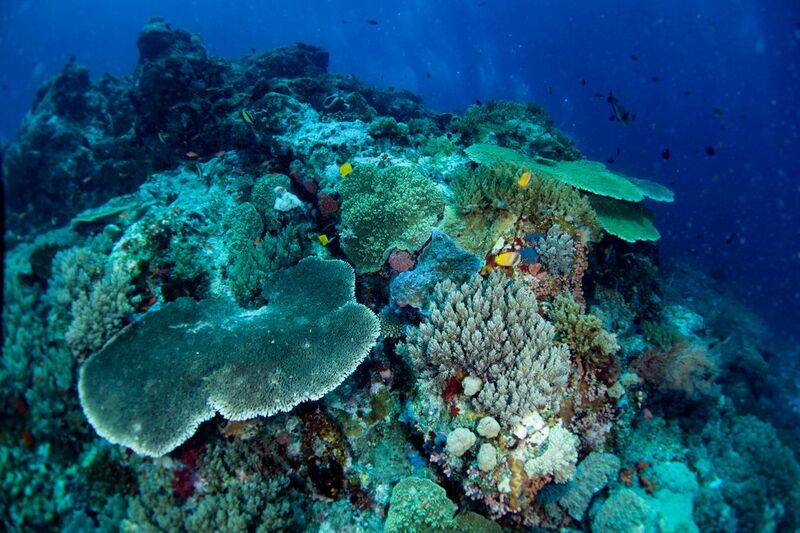 Make sure to practice good buoyancy control keeping a safe distance from corals and other marine life. Our team will assist you with buoyancy control and proper weighting at any time if needed. Avoid bumping into or kicking the reef with your fins. Never stand or walk on coral or any other living organisms. Make sure your gauges, hoses and additional gear (e.g. reef hooks, pointer sticks, cameras) are clipped and secured so that they do not dangle around possibly harming marine life. Gloves are prohibited in the National Park! Make sure to apply sunscreen well in advance before diving (at least 30 mins) to avoid it being washed off and damaging marine life. There are now brands that sell reef safe sunscreen lotion! We encourage the use of ocean safe sunscreens. Do not throw anything into the ocean from the boat. Please dispose of trash, foods and drinks in the provided bins on board. Fishing is strictly forbidden from the boat and anywhere in the National Park at any time and can result in National Park fines. Always stay behind your guide. Stay close to the reef or to the bottom. Stay at the same level as your guide. Always listen carefully to the briefings. Make sure you properly understand and follow the instructions of your guide. Should anything said in the briefing remain unclear, please ask your guide for clarification. No briefing, no dive! practices. Nonetheless, when your guide takes a decision (e.g. to cancel a dive or the safety stop), please make sure to adhere. Divers must always follow the instructions of a guide and all divers must be accompanied by a guide at all times. Despite our efforts of grouping divers of the same level and experience, air consumption might differ – the dive ends with a safety stop when the first in a group reaches 50Bar/ 750PSI. All divers in a group surface together with their guide.